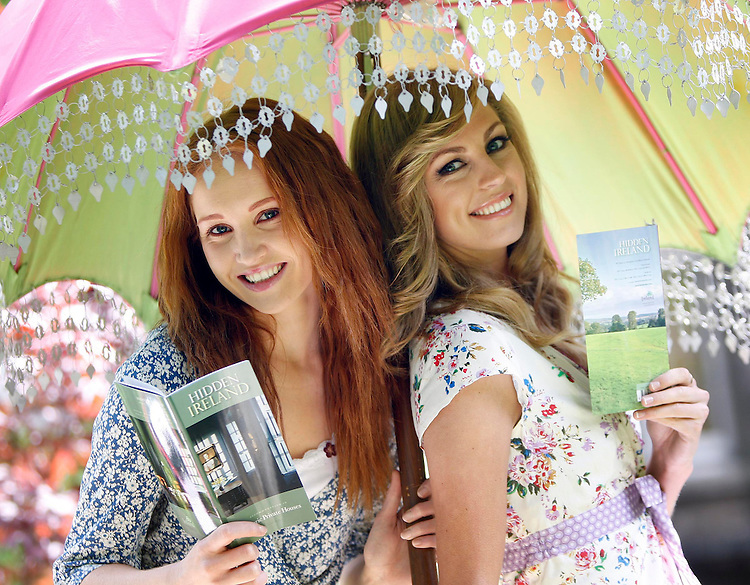 .Naomi Cullen (left) and Aoife Cogan, pictured here wearing dresses from Avoca Handweavers at the Hidden Ireland 2009 Historic Private Houses brochure launch held at No. 31, Leeson Close, Dublin. Pic. Robbie Reynolds.